A name like Ralph & Kacoo’s is easily recognizable in these parts. 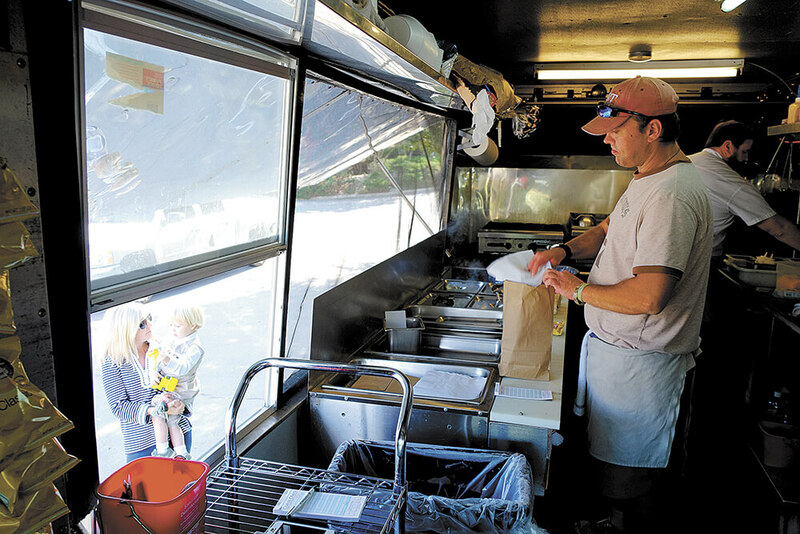 If you live on the Gulf Coast, you’re bound to have heard the name, seen or even visited the Baton Rouge location or perhaps the New Orleans restaurant, which has been closed for a while now. Now there’s one in Bossier City, Louisiana, and Lufkin, Texas, along with our very own Causeway spot. Near the mid-bay interchange in the former Lap’s on the Causeway fortress, Ralph & Kacoo’s has called Mobile its home for a couple of years now. This is also the restaurant group’s first waterfront property. I’ve been a couple of times since its opening but never gotten the chance to review it. I needed a little boost for a going-away dinner for Special Agent 549, so I thought it a great idea to kill two birds with one stone. (Photos /Daniel Anderson) Louisiana-based Ralph & Kacoo’s offers an expansive menu with something for everyone, and live gators for the kids. 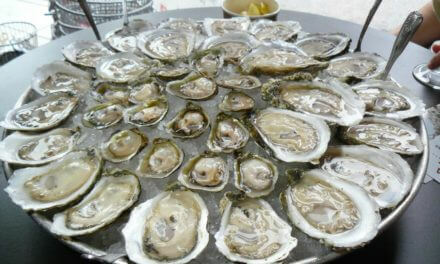 I knew I was having oysters on the half shell ($10.99 per half dozen). When interrogated for information, our waiter Seth was happy to find out the origin of these beauties. 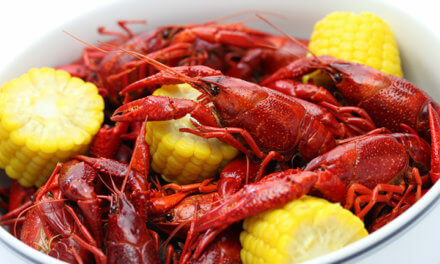 Turns out they were from Bayou La Batre, local fare for which some are happy to pay a premium price. Sizable and almost brown in color, these are a completely different flavor from those milky white ones that come from, say, Plaquemines Parish or Louisiana waters. It’s hard to say better, but different, and one of the many reasons I choose to live here. Agent 549 was feeling spicy and chose the Firecracker Shrimp ($9.99), which wasn’t very spicy but still very enjoyable. A little bit of heat kept the battered-and-fried shrimp from being too sweet in the syrupy sauce. This is a dish the young ones could enjoy, should they be more adventurous than the usual kid’s menu. Adults will love it as well. We sure did. With the appetizers out of the way, there was a lot of talk about what our last meal together would be. Agent 549 was eyeing the stuffed bell pepper. Even the Chicken Breaux Bridge with its crawfish tails and andouille was a temptation. But we needed seafood, so it was seafood we got. I figured my best route was the Shrimp Trawl ($21.99). What more could a boy ask for when you have fried Gulf shrimp, stuffed shrimp, boiled shrimp and shrimp au gratin with a Cajun-stuffed baked potato? An extra order of coleslaw ($1.99), of course! I was a little thrown off about what was what. I found the fried shrimp and stuffed shrimp easily. The boiled shrimp weren’t peel-and-eats as I’d suspected they’d be. Maybe they were the ones scattered about the top of the au gratin, which was good, but soupier than other causeway versions of old. I’m a little more accustomed to a layer of burnt cheese atop a ramekin of viscous seafood, but what do I know. The shrimp stew must have been what was over the rice. The whole thing was very enjoyable, just a little hard to define. The coleslaw was an excellent addition. The Cajun-stuffed potato was something I can take or leave. Agent 549 chose the winning dish of the evening. 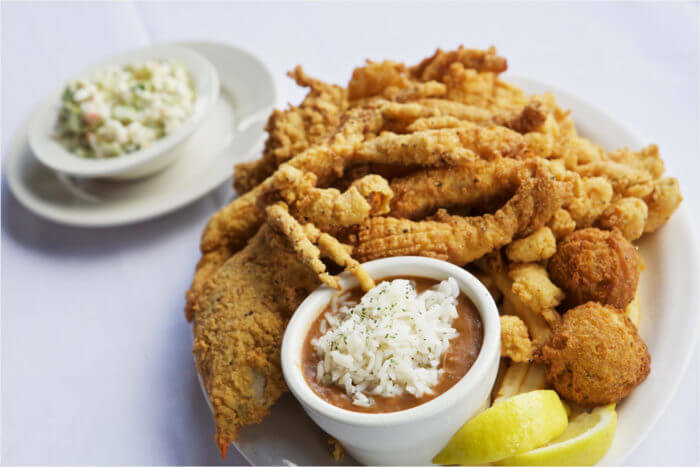 When it was disclosed that the fish of the day was red snapper, the only answer was to have it served Pontchartrain ($20.99). If you’ve never had Pontchartrain you are missing out. 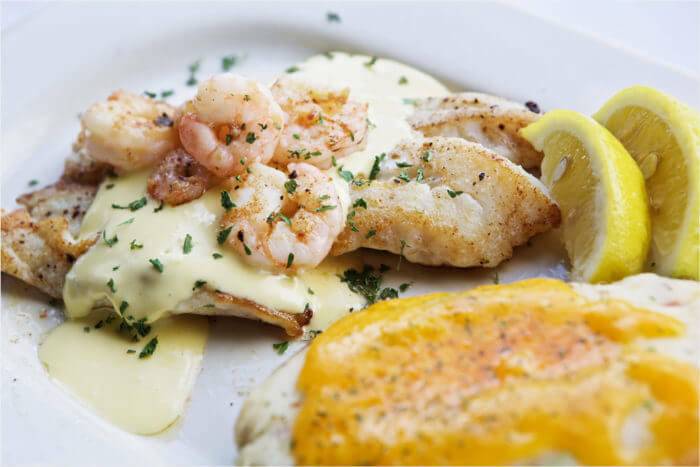 Shrimp and jumbo lump crabmeat with tomatoes are served over delicately sautéed fish with lemon butter wine sauce. I was privy to the leftovers of the sizable fish, and even cold it was fantastic. As a side item the agent never turns down a chance at french fries. These were not so great, more of the soggy limp variety, but were a good complement when covered in my coleslaw. Some of us may tend to turn up our noses at what we perceive to be a chain restaurant, but I don’t really hold Ralph & Kacoo’s to that label. With an expansive menu there are bound to be some things you may not like, but you can bet your bottom dollar there is something you will. There is a reason this restaurant has been around since the 1960s, so don’t knock it until you’ve tried it. The gumbo is a bit different, if I remember correctly from my previous experiences, yet a good change of pace. 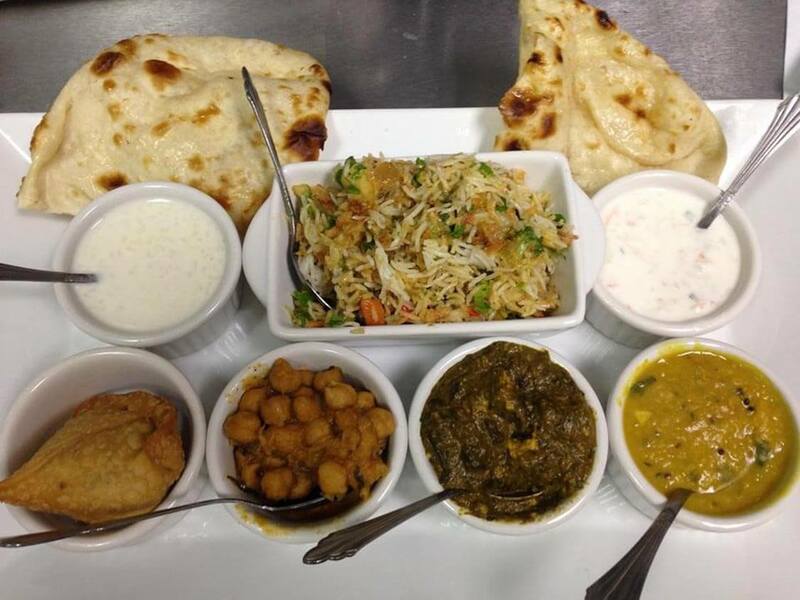 More than 10 different side items give you plenty to choose from. As a bonus there are alligators downstairs viewable from the balcony, if your children misbehave and you are into threats. I will say the doggy bags were full. We left with a good amount of food and no room for dessert. It was time for one last celebratory drink at Callaghan’s with the incomparable duo Phil and Foster, with special guest Gram Rea sawing on the fiddle. The bittersweet evening was filled with meeting friends and goodbyes. Parts of it were grand while others were sad. It’s tough seeing someone go, but things don’t always turn out the way we want them. Take care of yourself, Agent 549, wherever your mission may take you. You will be missed.